In one of the early stages of embroidering a mandala I print out a paper pattern to regulate the stitches, sometimes just a plain grid-in-the-round like this one. 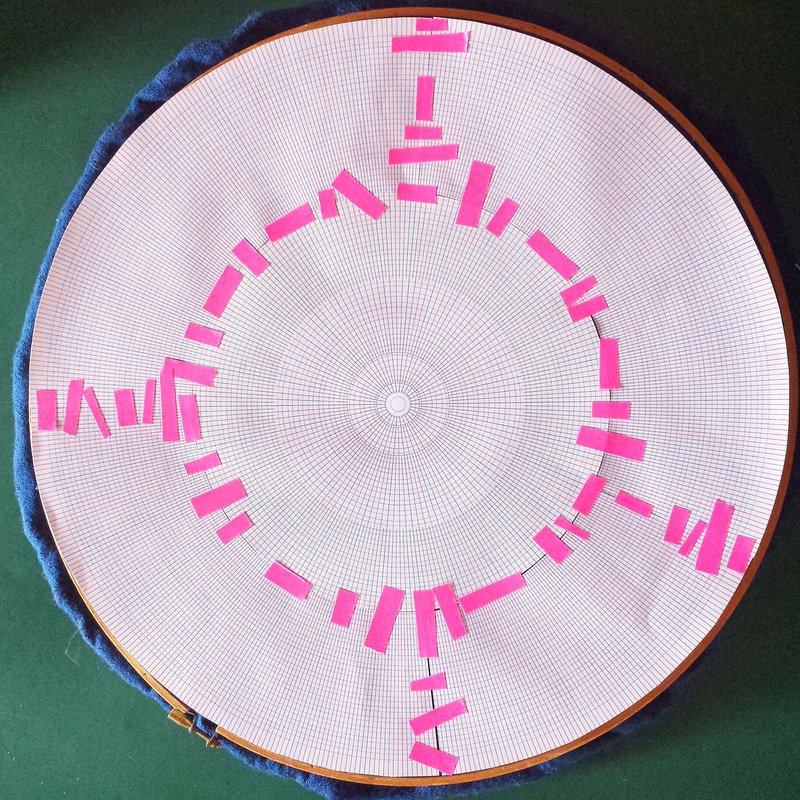 This mandala is 34.5 cm in diameter (about 13 inches) and the grid had to be printed in pieces that here are joined with fun neon pink tape. In the next stage this pattern will be stitched to the fabric stretched on an embroidery hoop. Detailed view of the round paper grid. 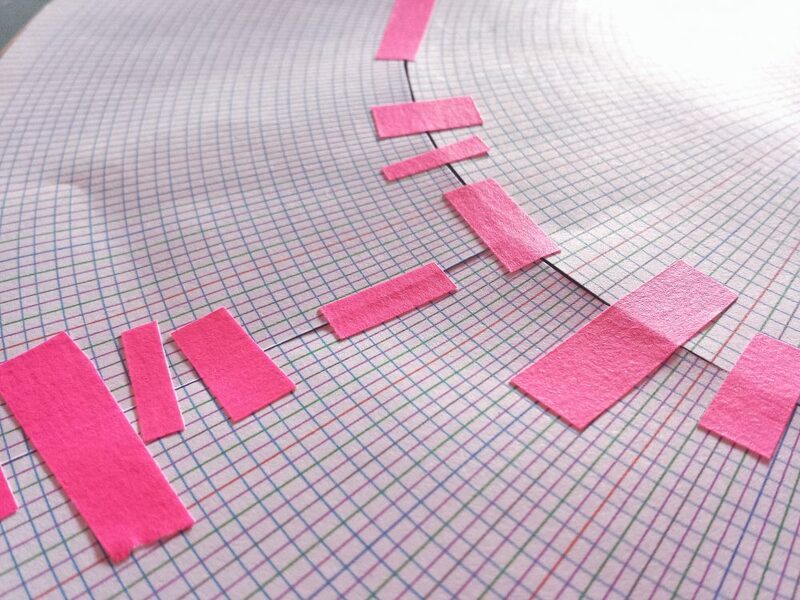 Hot pink masking tape holds it all together for sewing onto the fabric. See more on the embroidered mandalas project page.